Brand-new modern contemporary two-storey sandstone model with 3300 Sq ft of living space. 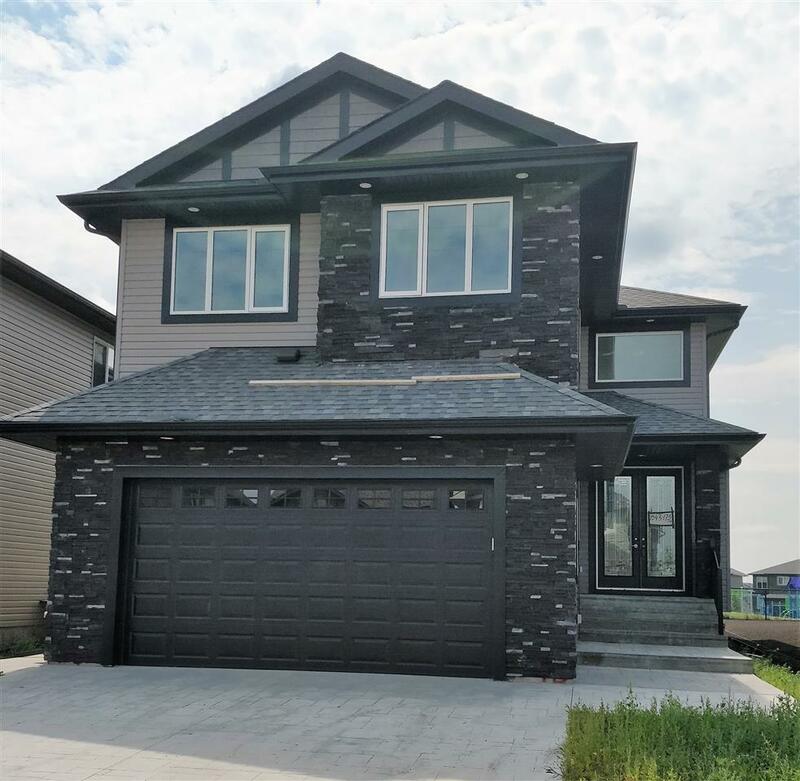 The exterior includes a stamped concrete driveway, cultured stone, backs onto a park and huge green space, located on a dead end road. The open-concept floor plan assists effortless movement from one room to the next. The 18′ ceilings in open areas open up the space, allowing the many windows to let natural light throughout the home. Finishing includes hardwood flooring and oversized porcelain tiles throughout, custom-built thermal foil wrapped cabinets with built-in appliances, upgraded lighting package & fixtures, modern linear fireplace in the great room with natural stone surround from floor to ceiling, staircase with glass panels, can covered deck with upper balcony in the master bedroom. The master bedroom features two electric fireplaces, double-sided, with natural stone surround next to the Jacuzzi tub. Fully finished basement with upgraded vinyl planks, and wet bar with appliances.